​Named for Ammon, the Egyptian god of Procreation and Life, these ancient marine mollusks (cephalopods) were similar to the modern squid, octopus and nautiloids. They were creatures of the open tropical seas and are abundant in limestones from tropical reefs. These were perhaps the most agile and intelligent of the invertebrate carnivores, living in ocean waters of all depths. The Ammonites is a very powerful earth healing fossil. Its spiral shape symbolizes continual change and evolution. Ammonites have absorbed cosmic energy over eons of time and help to stimulate the life force within. Ammonites are often used for activating Kundalini and life path energies. 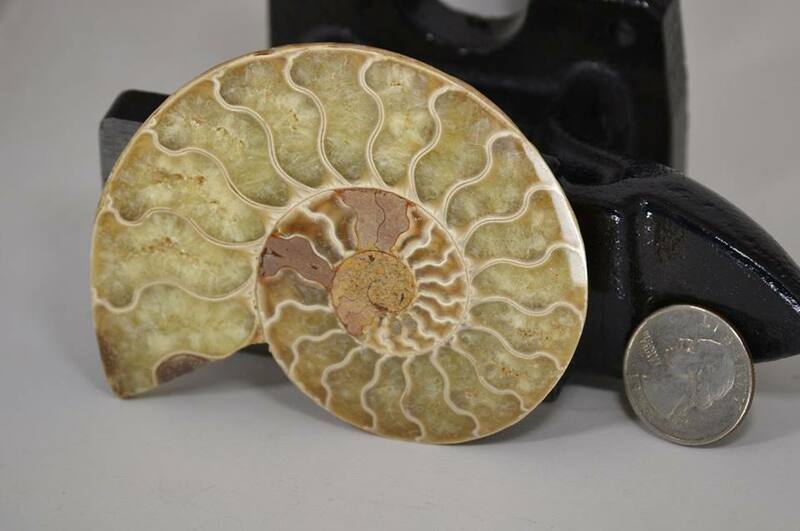 The Ammonites is also often recommended to put in the home to attract health, prosperity and success. ​The Ammonites draws off all negative energies. Think of the Ammonites spirals as a filter, drawing in these dense energies which are no longer needed, moving them through the spirals and releasing them as fresh, positive, loving life force energies. 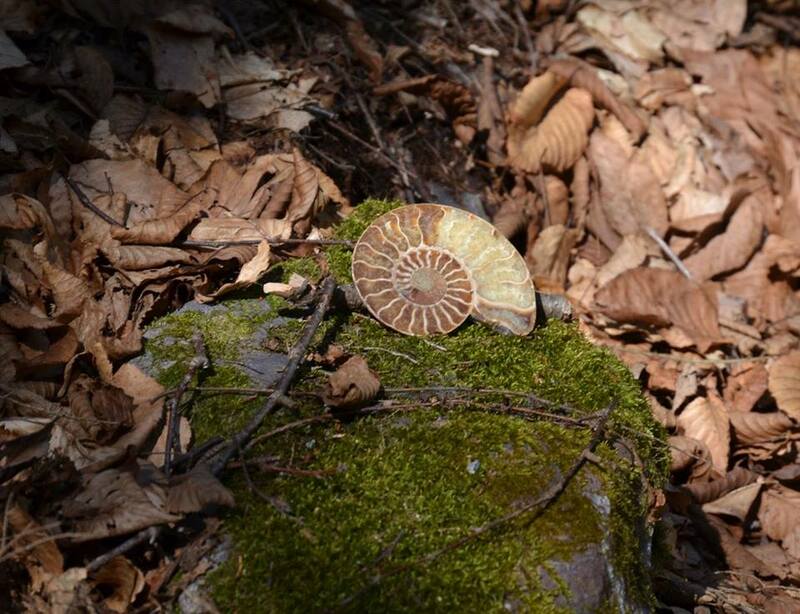 ​ Physically, Ammonites can help to increase stamina and vitality. Use Ammonites when working with issues of blood pressure or problems with the ears, lungs and degenerative disorders. Ammonites will also help to lift the heaviness that is sometimes felt during depression. The characteristic spiral was formed by partitions or chambers of the coiled shell where they lived. Once the ammonite grew too large for its living chamber, it formed a new one and moved into it. The empty chambers filled with gas to assist buoyancy at different depths in the oceans. Ammonites have been collected and prized for their geometrical beauty for many thousands of years. Ammonites have been collected and prized for their geometrical beauty for many thousands of years. Ammonites became extinct at the end of the Cretaceous Period some 65 million years ago after a 330 million year survival on earth. ​Ammonites that display an iridescence are called ammolites. The stunning rainbow color is the result of nacre (mother of pearl), which is the substance that made up the animal's shell. This then fossilized and became a mineral known as aragonite. The colors result from light reflecting off of layers within the fossilized shell and interacting, much the way oil on water produces a rainbow sheen. Ammolite is one of only three gemstones produced by living organisms, along with amber and pearls.